When calculating the accumulated years of service, it amounts to 335 years of combined skills and knowledge. Long-service awards were made for 10 years; 15 years; 25 years and 30 years of service. 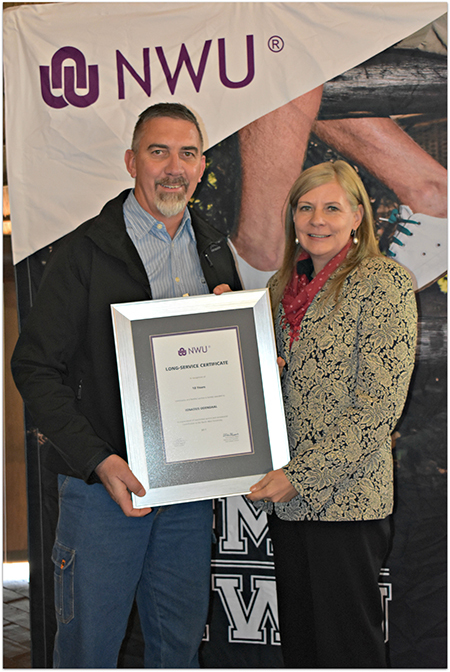 Prof Linda du Plessis, the deputy vice-chancellor for planning and operations on the campus in Vanderbijlpark, awarded the long-service recipients with their certificates. Mr Mike Odendaal and Prof Linda du Plessis.